Business/Trade Links from Myles Nelson McKenzie Design. We work with and incorporate the below trades and product vendors for our building design and construction plan documentation. We recommend these professionals, manufactures and contractors for our clients. Recommended professional services for custom new homes, home remodels, room additions and commercial projects. Architecture Week – Architectural Magazine of design and building. Builder and Developer – Biggest Regional Professional Homebuilder Magazine. Find Contractor – Great directory source to find a Contractor for any state in America. @LA – the guide to Greater Los Angeles and Southern California. MacRae’s Blue Book – North America’s #1 Industrial Directory. 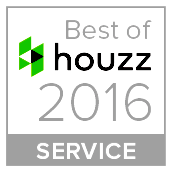 Houzz – Home ideas and directory for Architects and Designers. JHA & Associates – California – Civil Engineering, Surveyor. SC Surveying Consultants – South Carolina – Civil Engineering, Surveyor. Eiffel Engineering – Arizona/California – Civil/Structural Engineering. Dan’l Mouton P.E. – South Carolina – Structural Engineering. Southland Energy – California – Title 24 Energy Analysis/Mechanical/Electrical/Plumbing Design. True Calcs – Arizona – HVAC Design and Manual J, S and D Reports. Elm Energy Group – South Carolina – Residential and Commercial Energy Consultant. Cambridge Building Inc. – South Carolina – Luxury Home Builder. Wildfire Design Build – California – A wildfire disaster company that provides complete design, engineering, home reconstruction. DDBuild – California – Design/Develop/Building custom private luxury & renovated residences the right way. Getchell Garborg Remodelers – California – Renovation/Remodel Specialists. Morris & Son Construction – California – New & Renovation Construction, serving San Clemente & Malibu, Ca. The Design Studio – California – Kitchen/Cabinet Design, Installation & Residential Renovation. Serving clients in Santa Barbara County. ECO-Block – Energy Efficient Insulated Concrete Forms. Trex – Sustainable Outdoor Decking Material. Louie Lighting – Interior/Exterior Residential Lighting, Fans. ETO Doors – Front Door Manufacture. Eldorado Stone Veneer – Eldorado Stone makes architectural stone, stone veneer, brick veneer. Cultured Stone – Manufactured Stone Veneer.